Engage in intensive training in neuroscience concepts that have applications in classrooms. Learning ghj_amp the Brain is offering this Summer Institute on two sets of dates this year and will be held on the oceanside campus of the University of California, Santa Barbara. Choose either the July 24-27, 2012 or July 31-August 3, 2012 dates. Brain imaging studies and cognitive neuroscience continue to give a clearer picture of how individuals respond to sensory stimuli and perform cognitive tasks. This has allowed for a better understanding of the brain's neural systems and how they relate to focus, learning, memory and creative problem solving. The Institute will focus on the applications of neuroscience research to teaching and learning. Through lectures and facilitated discussion, participants will explore neuro-logical approaches for understanding and meeting the diverse academic, social and emotional needs of students. The Institute is hands-on and is limited to 35 participants. Full-time participation and preparation are expected throughout the Institute. The Institute is hands-on. Rather than simply listening to lectures, participants also collaborate in facilitated discussions to develop scientifically grounded approaches for understanding and meeting the diverse cognitive, social and emotional needs of students. A full schedule of class sessions and activities is held each day, amounting to a program total of 22 hours. Additionally, there will be daily assignments for the final project. 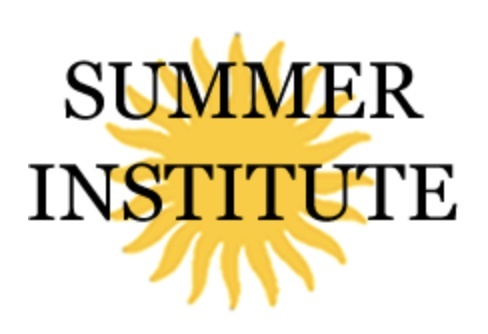 This Learning ghj_amp the Brain Summer Institute will be led by Dr. Judy Willis and assisted by Malana Willis. This program is designed to help individuals and school teams develop the knowledge, skills and strategies necessary to responsibly apply neuroscience and cognitive science findings to the classroom to improve teaching and learning. The program offers participants an intensive professional development experience, drawing on the most up-to-date findings in affective and social neuroscience. The Institute emphasizes memory and retention and their roles in learning, motivation, attention and the culture of schools. This course is designed for educators with no prior background in neuroscience. Meals, lodging and course materials are provided. Judy Willis, MD, EdD, is a neurologist and credentialed teacher. She has combined her training in neuroscience and neuroimaging with her teacher education training and years of classroom experience. Dr. Willis is an authority in the field of learning-centered brain research and teaching strategies derived from this research and has spoken at national and international educational conferences. Dr. Willis has written six books on this topic, contributed extensively to educational journals and conducts interactive professional development workshops throughout the United States and internationally. Her most recent books include Research-Based Strategies to Ignite Student Learning (2006), Brain Research Based Strategies for the Inclusion Class (2007), How Your Child Learns Best (2008), Inspiring Middle School Minds: Gifted, Creative and Challenging (2009), and Learning to Love Math (2010). Malana Willis, MEd, is an educator who has taught elementary school in Oakland, CA for over five years. Previously, she taught at the American School of Bilbao in Spain and worked at the UCSB Autism Clinic. She received her Masters Degree in Education and Multiple Subject Teaching Credential from UC Berkeley and her BA in psychology from Williams College. She has been writing and presenting with her mother, Judy Willis, for several years. This program provides a total of 22 hours toward professional development credit for various professionals. For types of credit offered, or to find out about additional engaged hours toward professional development credit, call our offices at 781-449-4010 ext. 102. Note: credits are not provided by the University of California, Santa Barbara. Interaction between faculty and participants outside the classroom is an integral part of the Institute. To foster this total immersion learning environment, participants are housed in undergraduate dormitory accommodations on the UC, Santa Barbara campus. The dormitory rooms are located in the Manzanita Village complex steps from the Pacific Ocean. Participants are assigned their own room but with shared bathrooms. Linens are provided. All facilities are ADA compliant. If you are interested in making your own accommodations off-campus, please call us at 781-449-4010 x 101 for a reduced rate.